Singapore-based game publisher and online gaming platform Garena unveiled on Monday an exclusive US$23 million game licensing deal with California-based Red 5 Studios to develop and distribute its upcoming blockbuster title Firefall for Southeast Asia and Taiwan. The 6-year deal includes licensing fees and minimum guarantees, and will tap on Garena’s experience in promoting popular games such as League of Legends and Blackshot. The never-before-seen amount of US$23 million also establishes a precedent for game licensing in the region. 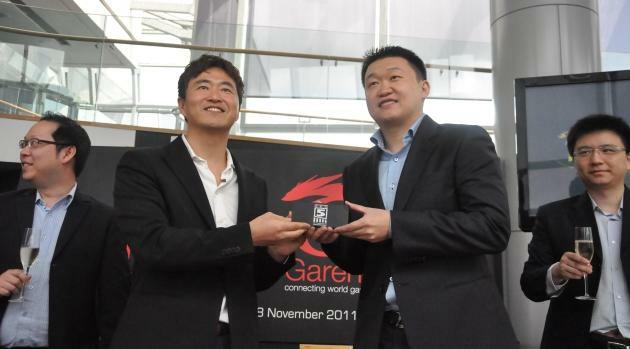 Despite the high cost – especially for a new, unproven game – Garena CEO Forrest Li is confident of Firefall’s potential. “The content and game play is very innovative and very deep,” he said. Firefall is set 200 years in the future, where the promise of a new clean energy source, Crystite, leads to the disastrous arrival of a hostile energy storm and a bloodthirsty alien race, threatening humanity’s survival. Li cites the “e-sports flavour" of Firefall as an additional bonus for Garena, which has a history of supporting aspiring professional gamers here in Singapore. Indeed, the game’s competitive and co-operative multiplayer action wowed fans at the recently concluded G-star game convention in South Korea. Garena will also work on localising Firefall for this market, as they have done for existing games. For instance, in League of Legends the company introduced a character called “Wukong”, who looks like the mythical Monkey King familiar to many Asians.